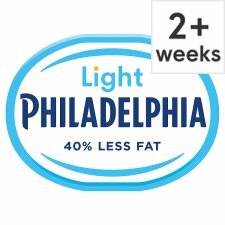 *Light - Minimum 30 % less fat than Full Fat Philadelphia. Keep refrigerated. To enjoy this product at its best consume within 1 week of opening.